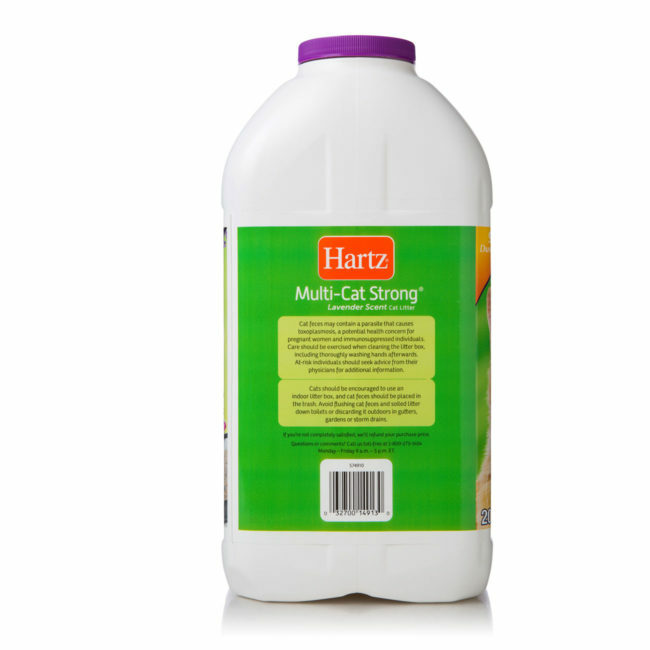 Hartz Multi-Cat Clumping Clay Litter will triumph over the inevitable chaos of your kitty clan’s pan. The unique blend of premium bentonite clay forms tight, firm clumps for simple scooping to leave a tidy environment so your furry friend can be part of the clean paws club. 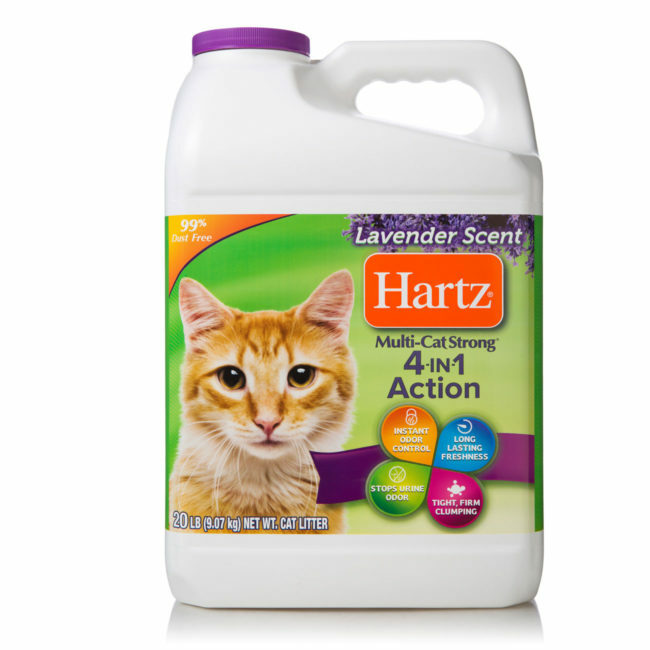 Hartz NODOR technology conquers unpleasant odors by eliminating stink on contact and releases a light, lavender scent that’s kind to your nose. 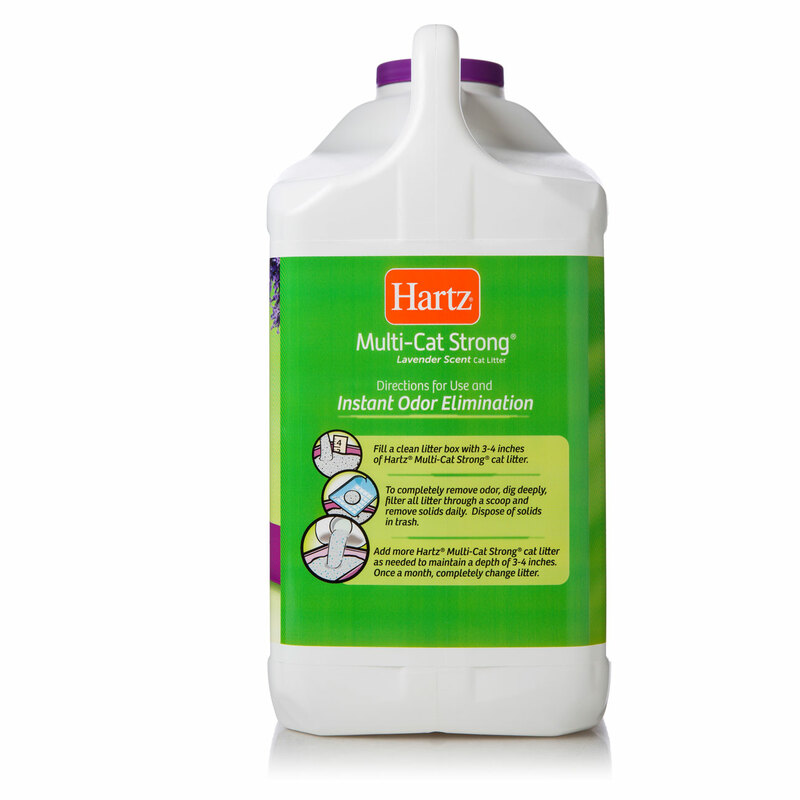 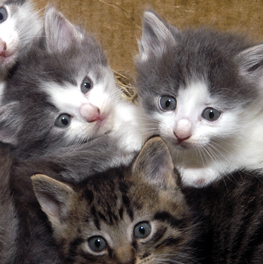 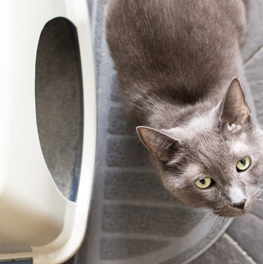 Fill a clean litter box with 3-4 inches of Hartz Multi-Cat Clumping Clay Cat Litter. 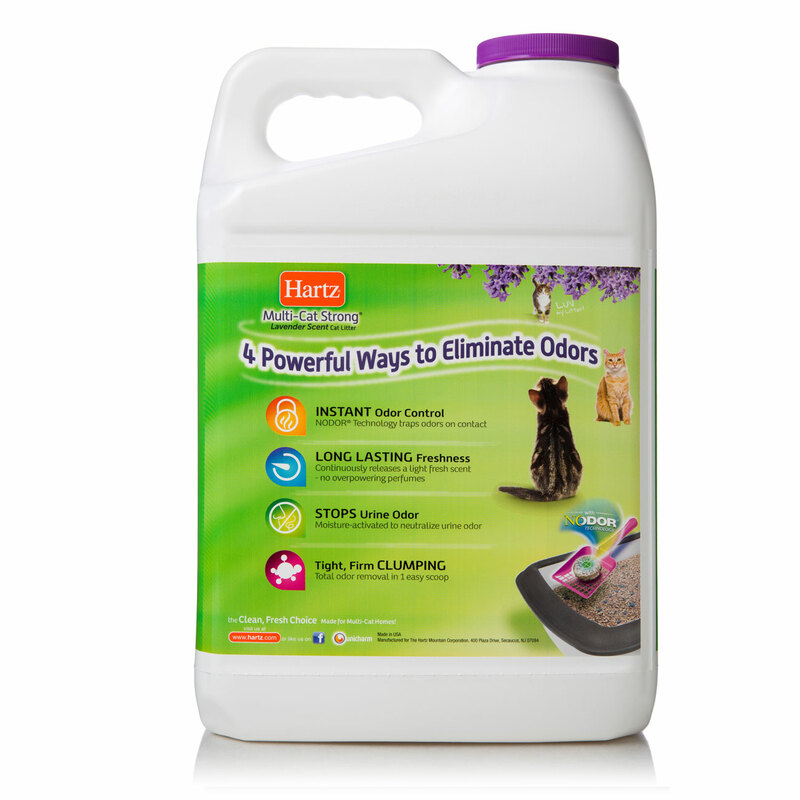 To completely remove odor, dig deeply, filter all litter through a scoop and remove solids daily. 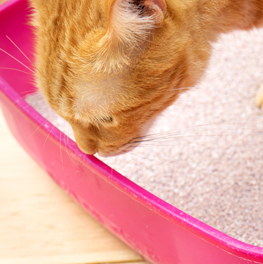 Dispose of solids in trash. 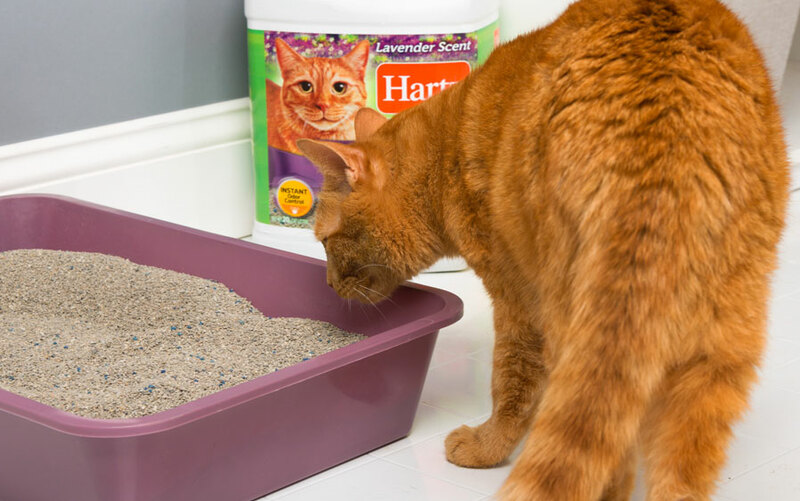 Add more litter as needed to maintain a depth of 3-4 inches. 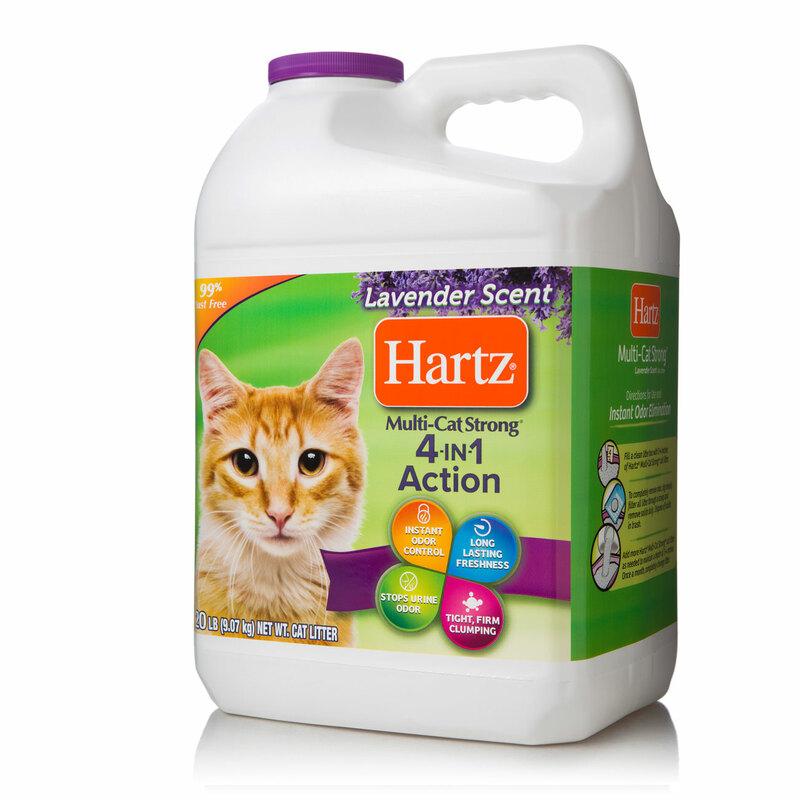 Once a month, completely change litter.